The Parent, Family, and Community Engagement (PFCE) service area, offers a variety of services which are available to assist families in meeting needs they may have. Because of the diversity of interests and needs of families, staffs are familiar with the array of available services. If needed, referrals may be made, where appropriate, to meet those identified needs, and follow-ups will be made with each family to ensure services have been met. Parent Involvement supports parents as prime educators of their children and assists families in becoming self-sufficient through parent trainings and workshops, volunteering, male initiative activities and governance roles, such as parent center offices and policy council representatives. PFCE shows that when parent and community engagement activities are systemic and integrated with other Head Start service areas, in conjunction with School Readiness, then family engagement outcomes are achieved. As a result, children who are healthy and ready for school. The Health Services Area assists parents in obtaining health screening along with medical and dental exams/services for their children. Updated immunization certificates are also encouraged in a timely manner, in order to maximize learning potential and follow-up. 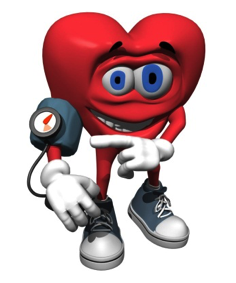 While your child is enrolled, one of our goals is to ensure that your child is up-to-date on appropriate health care. A child that isn’t healthy can sometimes have a hard time learning new things. We encourage you to help us keep your child up-to-date on health care including, but not limited to, immunizations, and dental care. We will assist you in making appointments, referrals, and arranging transportation, if needed. The program emphasizes health and wellness by implementing a minimum of 60 minutes of physical activity each day. I am moving, I am learning (IMIL) is a proactive approach used for addressing childhood obesity in Head Start children. IMIL seeks to increase daily moderate to vigorous physical activity, improves the quality of movement activities, promote healthy food choices, and physical movements during their daily routines. Our children are taught the value of eating plenty of fruits and vegetables, and learn to limit sweets and sodas in order to protect their teeth our goal is to promote healthy, lifelong habits. To make sure your child is growing properly, we chart growth assessments twice a year. 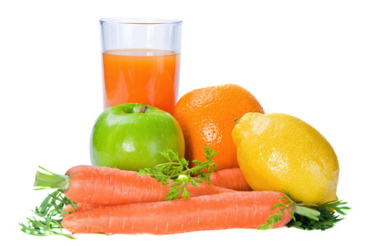 If nutritional or diet related problems are detected, the staff Nutritionist will inform the parent and provide a nutrition referral to correct the problem. Parents have the most influence on their child, and can do many things to help their child/children develop healthy eating habits for life. For example, placing emphasis on shared mealtimes, and making them enjoyable and stress-free. We also empower families with children who have special dietary needs. 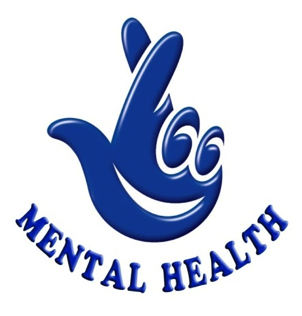 Mental health services are also provided to children and their families through licensed, qualified professionals. A mental health service promotes children’s mental wellness by providing group, individual, staff, and parent education on mental health issues. The Mental Health Consultant conducts classroom observations twice per year, and provides teaching staff with strategies for managing behaviors in the classroom. Referrals will be completed, when necessary, for children who are identified as needing additional testing. Tuskegee-Macon County Head Start serves low-income children, and services are extended to serving children with disabilities and their families. To be eligible, children must be 3 or 4 years old. Our program is required by the Office of Head Start to make space available to 10% of children with disabilities or special needs. The Disabilities Service Area provides speech, hearing, and developmental screenings to all first year children within 45 days of entry into the program. In addition, children are referred to the Macon County Board of Education Local Education Agency (LEA), as deemed necessary for further evaluation. 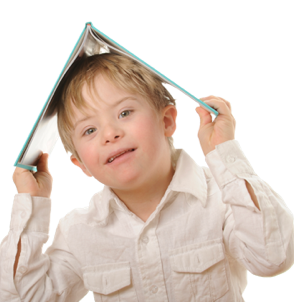 Results vary depending upon the child’s development, and may end in the development of an Individual Education Plan (IEP) to better serve children with special needs. The LEA in conjunction with Head Start provides quality, mainstreamed services to children with special needs, and disabilities. Effective governance is an essential part of any successful Head Start program. The structure includes three distinct entities that come together to form a solid whole. Members of each entity bring a unique and vital perspective that contributes to the effective running of the Head Start program. These three entities are: Governing body (City Council), Policy Council, and Administrative/Management staff. All three entities in the governance system focus on a single mission, the Head Start mission. Working together, they promote the school readiness of low-income children by enhancing their cognitive, social, emotional, and physical development. The Governing Body’s (GB) primary role is to provide oversight and ensure that the program meets its legal and fiscal responsibilities and safeguards federal funds. 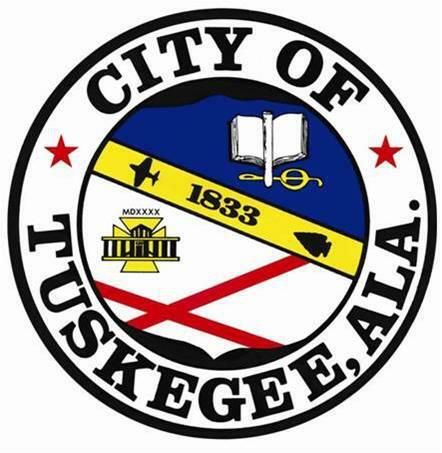 The City of Tuskegee is the grantee for Tuskegee-Macon County Head Start. Therefore, the GB (board of directors) is made up of elected officials. The GB meets twice per month, to include special call meetings, when deemed necessary. Policy Council’s (PC) primary role is to represent parents and the community, and make sure the decision makers consider their views about the program’s direction and future. Policy Council members consist of 51% parents elected by their respective center, appropriate community partners, and a Board/PC liaison. The PC meets once per month, to include special committee meetings, when deemed necessary. Members of the program’s administrative/management staff have the primary role of leading/managing the day-to-day operations of the Head Start program. The Head Start Act of 2007 [Sec. 642(d)(2)] requires the Head Start administrative/management team to share with the Policy Council and Governing Body “accurate and regular” information about the program’s operations, planning, and policies. Required reports include, but are not limited to: Communications from the HHS secretary; Financial statements, including credit card expenditures; Program information summaries; Enrollment and attendance reports; USDA meal reports; Annual financial audit; Annual Self-Assessment; Community assessment (Full-Blown and Updates); and Annual Program Information Report (PIR). Tuskegee-Macon County Head Start emphasizes the social, emotional, physical and intellectual growth of a child, and inclusion. We provide holistic services; excellent curriculum, dental services, health services, nutritious-catered meals, family engagement, and much more. The Head Start approach to School Readiness means that children are ready for school, families are ready to support their children’s learning, and schools are ready for children. Head Start leads the early childhood field with a strong, clear, and comprehensive focus on all aspects of healthy development, including physical, cognitive, social and emotional development, all of which are essential to children getting ready for school. School readiness goals are defined as “the expectations of children’s status and progress across domains of language and literacy development, cognition and general knowledge, approaches to learning, physical health and well-being and motor development, and social and emotional development that will improve readiness for kindergarten goals”. Head Start views school readiness as children possessing the skills, knowledge, and attitudes necessary for success in school and for later learning and life. The Tuskegee-Macon County Head Start Program uses “The Creative Curriculum, 5th Edition” (Dodge and Colker) to lay the foundation and support the program’s School Readiness Goals. The Creative Curriculum, 5th Edition is used as a framework to help young children develop basic skills, concepts, knowledge, and attitudes in the important areas of intellectual development, social behavior, emotional balance and physical skills. A developmentally appropriate educational program for our children is composed of both concrete and abstract experiences that provide knowledge of themselves and the world around them. The curriculum is flexible, and child-centered; it is designed to be a part of the total educational continuum. The Creative Curriculum, 5th Edition is inclusive of the Head Start Child Development & Early Learning Framework and Alabama Early Learning Guidelines. 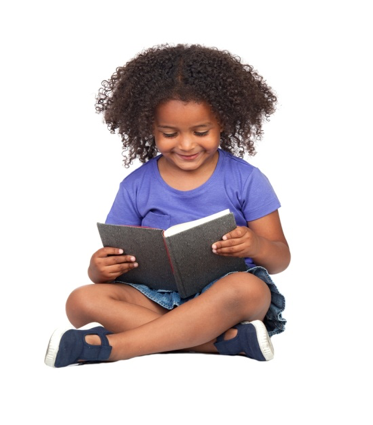 Additional resources such as: “The Creative Curriculum, 5th Edition Study Starters”, “Growing, Growing Strong”, “I am Moving, I am Learning” and “The Complete Daily Curriculum for Early Childhood” by Pam Schiller and Pat Thipps, are used to enhance this curriculum. CLASS focuses on the teacher-child interactions rather than the content of the physical environment, materials, or specific curricula. CLASS describes three broad domains of teacher child interactions that support children’s learning and development: Emotional Support, Classroom Organization, and Instructional Support. Emotional Support captures how teachers help children develop positive relationships, enjoyment in learning, comfort in the classroom, and appropriate levels of independence. 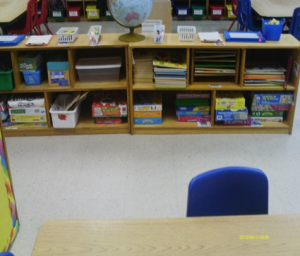 Classroom Organization focuses on how the teachers manage the classroom to maximize learning and keep children engaged. Instructional Support involves how teachers promote children’s thinking and problem solving, use feedback to deepen understanding, and help children develop more complex language skills. Teaching Strategies GOLD online offers a revolutionary approach to early childhood assessment. It is an assessment tool available to teachers that is user-friendly and inclusive—one that enables them to increase the effectiveness of their assessments while having more time to spend with children. It’s easy to use, it’s effective, and it works—saving teachers time and helping them be confident in their assessment decisions. The Tuskegee-Macon County Head Start Program is funded to serve four state-funded Pre-K classrooms to enhance school readiness by supporting children for preparedness to enter school, and to raise the quality of services to four year olds in Macon County, Alabama. Funds are received from the Alabama Department of Early Childhood Education, Office of School Readiness. 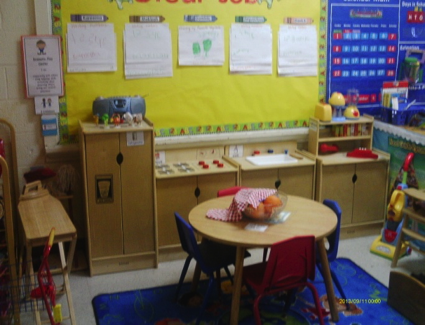 All Head Start centers are licensed by Alabama State Department of Human Resources, have approved fire inspections by state and local fire marshals, to include approved occupancy certificates, where deemed necessary. Health and safety is the program’s first priority. Safety and injury prevention for young children includes, but is not limited to: Creating safe environments for children based on their development and skills; Training staff to watch children individually and in groups; Educating parents and staff on how to recognize risks, predict what a child might do, and redirect children; Teaching children how to make safe choices; and Using injury and incident data to reduce injuries and promote safety. Toys are stored in a “safe and orderly fashion” (e.g., in their assigned places, not out where people can trip over them). Toys, materials, and furniture are safe, durable, and in good condition (e.g., materials free of sharp edges and loose pieces, balloons and/or plastic bags not used, no choking hazards). The facility has approved, working fire extinguishers and an appropriate number of smoke detectors that are tested regularly. Provisions for emergencies include well-supplied first-aid kits available, accessible to staff, and out of reach of children. In addition, an Emergency Preparedness Plan is in each center and implemented, when deemed necessary. The playground equipment is in good repair and safe condition (e.g., adequately secured to the ground, free of sharp edges and/or splinters, soft falling surface). The program provides limited transportation services based upon the availability of resources. The program offers one transition field trip each school year for children who are transitioning to kindergarten. In addition, pick-up and drop-off school bus services may be offered to the most disadvantaged area of the county, and depending upon the availability of resources. Transportation services for children with disabilities are coordinated with the Local Education Agency (LEA). The program ensures safety of children before, during, and after transportation. The program has ensured that school buses used to transport children receiving services are equipped for use of height- and weight-appropriate child safety restraint systems. To ensure vehicles are maintained in safe operating condition, at all times, the transportation team conducts a pre-trip check. Furthermore, to ensure no child is left in the vehicles and there were no concerns after trips/routes, the transportation team conducts post-trip checks. The transportation team (driver and bus monitors) receive annual transportation safety training, and refreshers throughout the year. In addition, transportation and pedestrian safety training is offered to enrolled parents and their children.